Earlier this fall, we had reports of sick Snowy Owls and submissions of dead Snowy Owls to the CWHC Western/Northern diagnostic lab in Saskatoon. Reports came primarily from Saskatchewan and the Northwest Territories. Most of the dead owls were young-of-the-year and the only autopsy findings have been severe emaciation. The carcasses are pale, there is severe muscle and organ atrophy, and the digestive tract is empty. Light microscopic examination of tissues and other testing has not revealed underlying disease issues. Although some articles have suggested forest fires this past summer had damaged the owl’s lungs and affected their respiratory system there has been no evidence to support this. The mortalities appear to be simple cases of starvation. 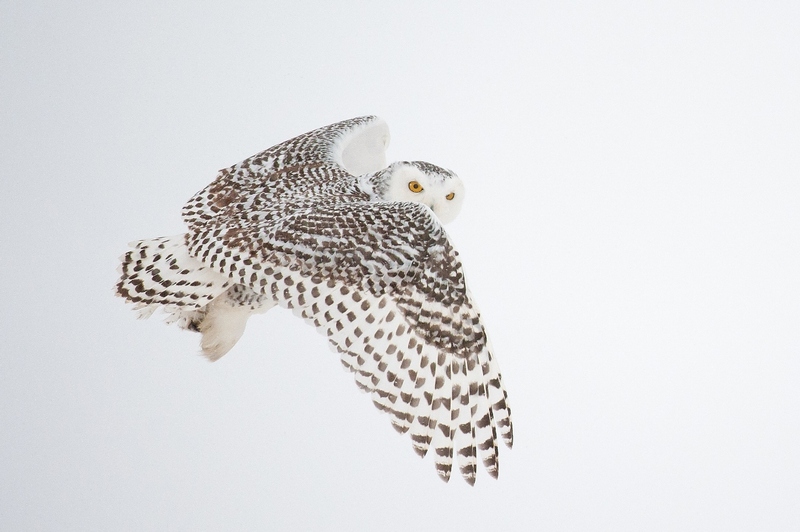 Snowy Owls migrate long distances in search of their rodent prey, often dispersing hundreds to even a couple thousand kilometers in search of food. 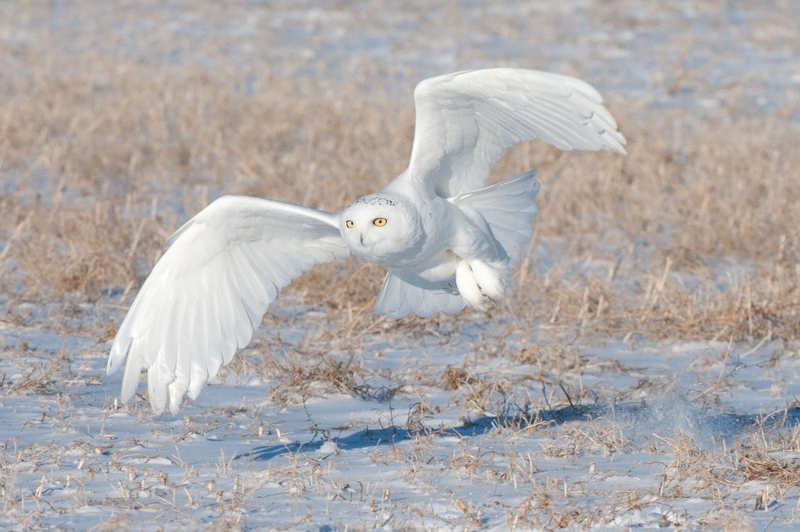 Snowy Owls can also respond to high prey abundance in the spring by laying more eggs, and with more prey during the summer, more young survive to fledging. Good years can result in an abundance of hatch-year birds. Inexperienced at hunting, they are particularly vulnerable to declines in prey abundance in late summer or fall. These young birds migrate long distances in search of food, which is why we see them in southerly regions in some years and not others. Although there is often public concern when there are increased numbers of dead Snowy Owls, this is an often normal consequence of a highly variable prey base. It may even reflect a particularly good year for Snowy Owls on nesting grounds. Dead Snowy Owls should be submitted to one of our diagnostic centres to screen for infectious disease and determine cause of death, but so far this increased mortality seems to be part of their natural cycle. Previous story Attracting the next generation to wildlife research!